Cutter bits (also know as picks or teeth) are available in all shapes and sizes to match the conditions at your jobsite. Alpine cutterheads come standard with bits suitable for most rock and concrete applications. 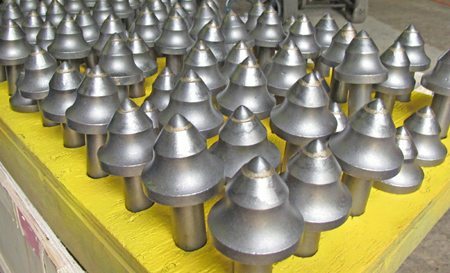 However, rock hardness and abrasiveness can affect the performance of standard conical bits. We can help you choose the best bits for the job so that you can achieve the best production rates in excavation projects, get through difficult rock, chip stumps out or remove clay.